Blurb: Shiovra has been named High Priestess of the village Tara, but she quickly finds herself hunted by the Milidh, a clan born of war and vengeance. With the safety of Tara at stake, it is decided that she is to seek aid from her betrothed, one she considers the enemy. 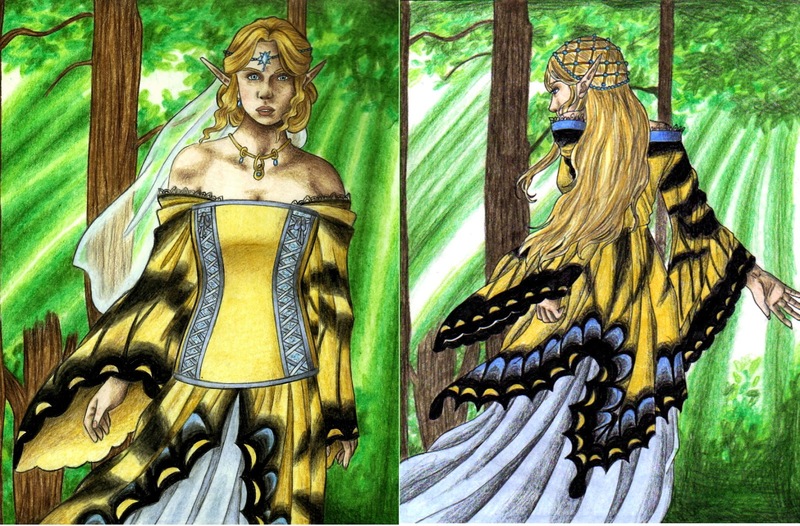 At her side is Odhrán, a Milidh warrior sworn to protect her and determined to gain her trust. 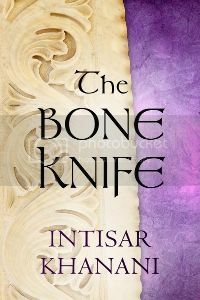 But their journey is fraught with peril and Shiovra learns that darkness lurks in the hearts of her own kin. Steeped in ancient Irish myth, this tale is spun of love, war, and DEFIANCE. 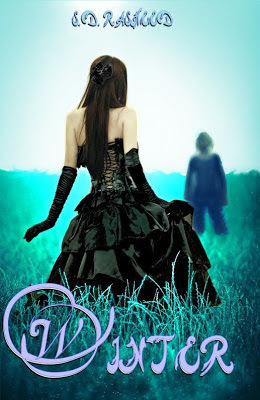 Review: Defiance is a captivating blend of myth, romance, fantasy and adventure! This novel follows the young priestess Shiovra as she journeys to defend her people. Shiovra is a fascinating main character, with an inner strength and much courage. She resists being lead by others and gradually comes into her own. He friends are equally fascinating and the village of Tara is a wondrous place. The reader is introduced to an intriguing place of magic and battle. Cunning enemies and a vast detailed landscape. Several secrets remain hidden and I am anxious to read the next book, Betrayal. The forbidden love between Odhrán and Shiovra is passionate and page turning. They compliment each other very well and make an awesome cover. 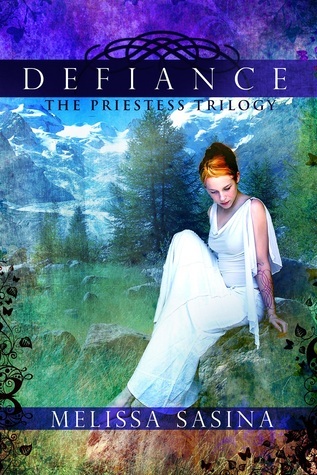 Defiance is a definite must read and a beautiful beginning to a trilogy! 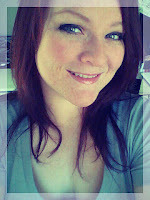 Born in 1982 in Cleveland, Ohio, Melissa has always been an avid lover of fantasy. The first book She began to write seriously for publication was The Priestess. It is currently undergoing reediting and will be re-released as both the individual books and as a one book collection, The Priestess: A Complete Collection. Her current book series is The Chronicles of Midgard, which will be a five book collection once completed. CALLING ALL ARTISTS! Art contest! Want to win a signed print copy of Falls the Shadow and some free art? Join the contest! 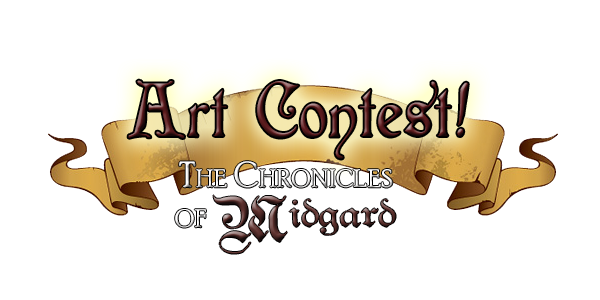 To celebrate the release of The Chronicles of Midgard, The Runaway Pen is hosting an art contest! If you win, you'll get a signed print copy of the first book, Falls the Shadow, along with free art prints, ebooks and more! Rules: Draw one or more of the characters from Falls the Shadow. New to the series? Don't worry! We have detailed character descriptions and sample art below! All art mediums are allowed, including photo-manipulations, but must resemble the characters. No extreme gore, violence, or sexual content please. You can leave your signature or website address on your work, just keep it along an edge so that it doesn't interfere with your art. Limit two entries per person. All art must be new and original! To enter: Send all entries to msasina@zoominternet.net by May 1, 2013 (members of deviantART can send the author, Melissa Sasina, a link via comment or note to the finished entry: www.shiovra.deviantart.com). All entries will be judged on a basis of creativity and likeliness. All skill levels welcome! Please be sure to include your e-mail address so you can be notified upon winning. Clothing: Ril has a preference for high class clothing: crisp white shirts, simple black jacket with teal trim, light beige pants and leather boots and belt. Wears speak stone earrings: dark blue, light blue, crimson, green, and yellow. 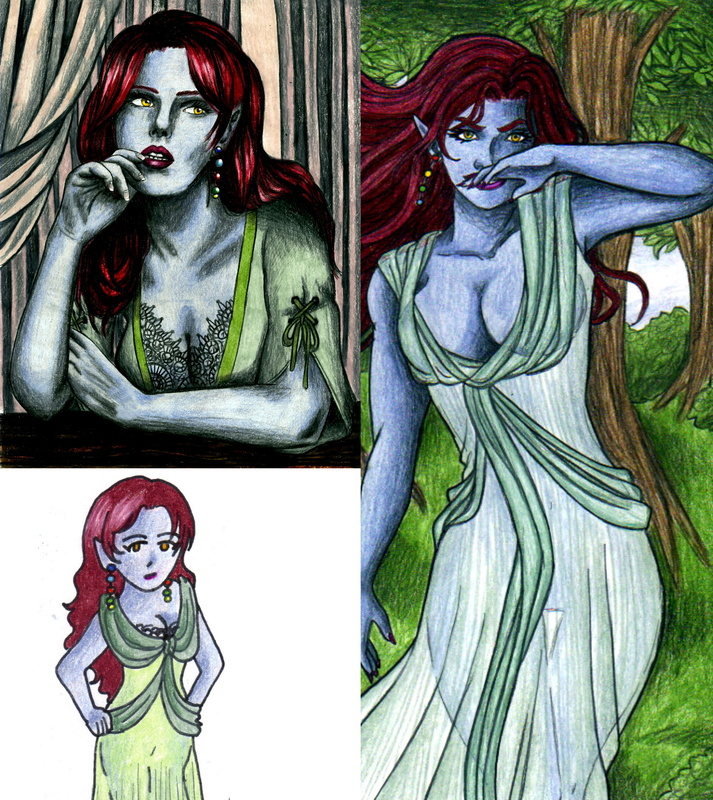 Clothing: varies depending on country she's in, but Maeja enjoys wearing dresses with vivid colors. Personality: Maeja is a strong woman with a bit of a stubborn streak and a troubled past. She wants nothing more than to keep the Empire from winning. 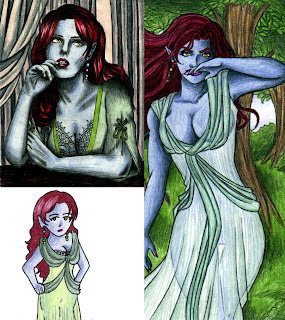 Clothing: tends to wear pales colors of greens and yellows, very light fabrics--many sheer--all cuts accentuating her curvy body. Wears speak stone earrings: dark blue, light blue, crimson, green, and yellow. Personality: Mjrn hardly speaks and when she does she can be very blunt. 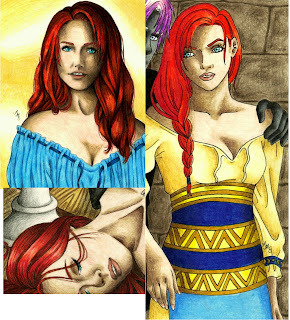 She is the half-sister of Linkyn and Connor, and of a race known as Rhine Maidens. Clothing: tends to wear earth colors: greens, browns, and even some light blues. Will occasionally wear black. Personality: Linkyn likes to joke around, but can be extremely serious when it comes to the safety of his friends. Picks fights with his twin brother Connor. Half-brother of Mjrn. 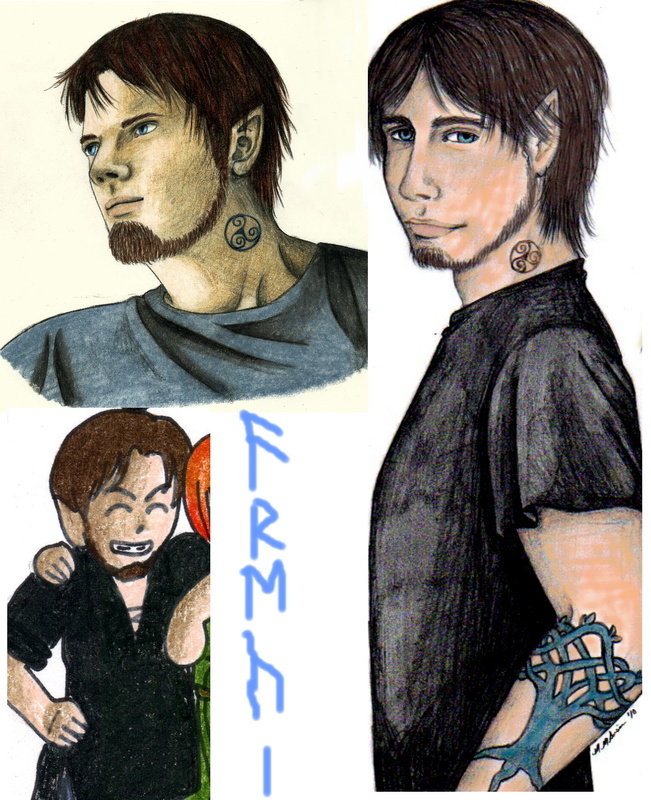 Special: Linkyn bears several tattoos, all on the right side of his body: triskle on his neck, tribal wolf on shoulder, Yggdrasil on arm, and the runes for Geri on his hand from thumb to index finger. Clothing: Connor prefers dark colors with lots of black, grey, and dark blue. Personality: While he likes to joke around, Connor is the more serious of the two brothers, though he will not hesitate to pick a fight with his twin brother Linkyn. Half-brother of Mjrn. Special: Connor bears several tattoos, all on the left side of his body: triskle on his neck, tribal wolf on shoulder, Yggdrasil on arm, and the runes for Freki on his hand from thumb to index finger. 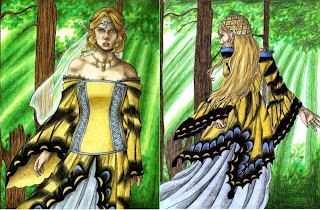 Clothing: Amena tends to wear dresses that have the patterns and appearance of butterfly wings while maintaining a regal air at the same time. Often does barefooted, even though she's basically the queen of High Wood. Clothing: As the son of the Emperor of Shilyka, Severus wears very expensive, but simple clothing. He tends to wear the royal blue and on formal occasions will wear his family crest: three crossing swords intertwined with a serpent. Personality: Severus is a calculating man and a military genius. He will do whatever he deems necessary for the sake of his younger brother. He is seen as the enemy by many, especially Maeja, Connor, and Linkyn. 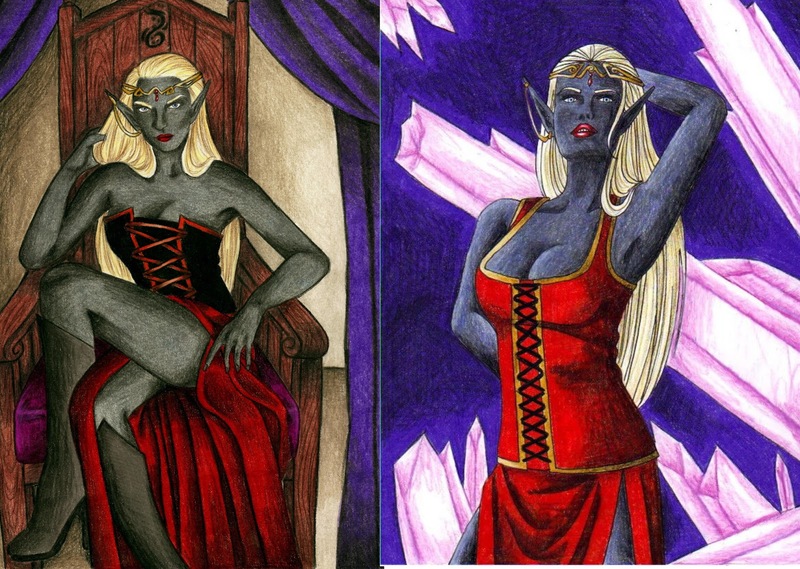 Clothing: Ilivarra wears clothing that shows off her body, legs and bust. She has a tendency to wear deep crimsons and dark purples with either gold or silver trim. Personality: Arrogant, cruel, and sadistic with a deadly swift mind. She has many people in the Shilykan Empire wrapped around her finger. 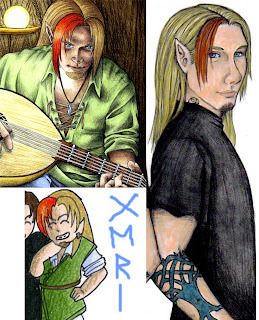 perspective of several characters, Winter is the first part of the trilogy. man only known as Winter. Review: I absolutely loved Winter by S. D. Rasheed! This novella uniquely alternates between the perspectives of two of the main characters, Leah and Charity. Because of this, we were able to see the story unfold from several different angles, it was told from other perspectives later. While it is often hard to evenly pace novellas or novelettes, S. D. did an awesome job of it. One slight thing, at the end we received a quick retelling of the story from Winter's point of view. This felt rushed and a little unnecessary. I think his perspective should have been included in the original story or in his own, separate short story. A lovely blend of historical and fantasy I can't wait to see where the story goes next! Winter pulls you in with excitement intrigue and doesn't let you go until the last page! S.D. Rasheed's writing career began in 2012 with the short story Linaje. With continued devotion and dedication to learn the tricks of the trade she's eager to become a memorable author. Look forward to more stories from this aspiring writer in the near future. Keep in touch with the author on social networks like Twitter ( @Sakinah_R ) and Google Plus. Drop her an email at fleakitten@gmail.com. Enter to win one of two signed print copies of Falls the Shadow on GoodReads! Giveaway ends January 24, 2013! Giveaway ends January 24, 2013. No! It can't be over! That's how I felt when I finished this book. Not in a bad way, the ending was great but I had fallen in love with the story that I didn't want it to end. Luckily this is just the first in the series. There was so much I loved about this book that I'm a little unsure where to start. I guess I'll start with map at the beginning, the gamer in me loved it. It was also a helpful aid to such a complex story. The story itself has an incrdible amount of detail and everything was easy to imagine. Though how Melissa Sasina keeps track of all these characters I don't know but she certainly makes it look easy. The characters are many yet they each have distinct personalities and interesting names. I will admit that at first I had a hard time keeping track of who was who but by chapter three I had everyone sorted. The book follows every characters storyline yet is never slow and the characters paths come together in well thought out ways that utimately bring the story together. I even found myself excited about the 'villians' storyline. The villians you'll discover are more complex than your typical 'bad' guys. The cover art to this novel is very pretty and the addition of a map at the beginning of the book is a nice touch. We are given in depth background information at the start about the ‘Life Tree’ the history of the Gods and of Midgard which shows the writer paid a lot of attention to detail and has great understanding of her chosen subject. This, the first book in a five part series, is very well written with a complicated plot, the ending is open but not with a breath taking cliff hanger, (phew!) We are given action, humour, Gods, portals and hidden worlds in this imaginative Norse myth fantasy and I would recommend it to all fans of the genre. This was a fantastic book that I couldn't put down. The world is well detailed and reminiscent of Norse mythology. Names and characters have a Norse feel to it and it is obvious Melissa read much of the mythology in research to the story. The characters are engaging and it is easy to root for the heroes while still finding the villains enticing. All the names - of places, characters, races - must have been long thought out as they are full of the world's flavor, giving the story a richness and verisimilitude. The ending, while no great cliffhanger of an ending, reels you in and urges you to start immediately on the next volume. I am eager to read the rest of the story as I can't let the characters go in my head. They have taken on their own lives, Melissa's prose bring bringing them to life beyond the confines of the story. I cannot recommend this book enough and have already mentioned it to friends. Although I own the PDF copy, I believe I will have to own the hard copy as well - it is worth having a paper copy to add to my collection and will sit on equal terms with my other books. Falls the Shadow was a delightful change from the contemporary pieces read thus far, especially considering my limited familiarity with the Norse mythos. Melissa weaves an engaging tale, with wonderfully faceted characters and a compelling fantastical world. Though her descriptive passages sometimes lack a personal connection to the scene's main character, it clearly set off her in-depth knowledge of the world, its history, and the future yet to be told. At times the quantity of short scenes left me with a feeling of disappointment, but not so much as to distract me from the story's progression. There were some misused words sprinkled throughout (i.e. `where' instead of `were', or `surely' instead of `surly'), and some places where the narrative could have used some tightening but, again, it wasn't enough to irritate or distract. My biggest qualm was the sometimes impersonal description, for this really limited the developing relationship between the characters and me as the reader. If she were to weave more of the character's voice into those narrative bits... gold! 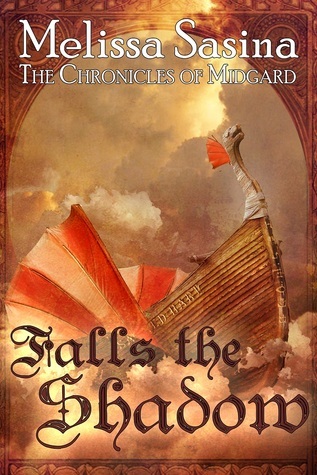 All in all, Falls the Shadow is an intriguing fantastical tale and I am eager to read the next installment. Overall Rating: 3.5 out of 5. I wanted to love these characters, but the impersonal narrative kept me at arms length. That is pretty much the only reason I don't give this story a 5. Would I read it again: Yes, I do believe I would. Would I recommend it to others: Yes. It is a fascinating mythos. Book Reviewer Update #2 - Open for reviews! Hi everyone, M. A. Bronson here! So my reviewing doors have been closed for a while but they are now officially re-opened! Please be aware that every reviewing site and book reviewer is different and that these answers speak only for myself. 1. What do I send the reviewer? And any other important information such as it being an advanced readers copy or if you want the review posted by a certain day, etc. If I do decide to review your book than I will respond to your email, with my acceptance and when I anticipate my review will be posted. Then what you should send me is a kindle/mobi file of your book and a jpeg. of the cover. *Please note that I do not review any other format besides kindle mobi. * If you need to turn your manuscript into a mobi file I recommend http://calibre-ebook.com/ free download. 2. When will your review by completed? Where will it be posted? It usually takes me about four to five days to read a book. Please note that this time varies depending on if it is a novel, novella or novelette but that is the general amount and I will inform you if I expect my review to take longer. My reviews are posted on this blog, amazon.com and goodreads.com and the occasional smashwords if the author does not publish with amazon. What genres of books do you review? I do have favorite several favorite genres ~ Young Adult Paranormal Romance, Fantasy and my new favorite - Historical/Paranormal. In fact I am really into Historical/Paranormal right now so if you have a book in that genre be sure to send me a request. If you're unsure whether your book falls into these categories simply state that in your email along with the genre(s) you think it best falls under. Lastly, I know it can be daunting sending your book to someone who could tear you down with their review. But when it comes to my reviews, I'm your friend, I will never bash an author or their book and when I give constructive criticism it is just that, constructive. I'm here to praise you for your good writing and give you some tips on what I think could have been better. Blurb: Liv thought she would be able to return to her usual self once everything was taken care of. But she's had to be careful to hide her feelings from Luke; her feelings of disappointment are getting to her, and she can't help but wondwer what the cause of her sudden fevers is. Until Dr. Wineman decides to tell her that she doesn't smell human anymore; he thinks her fevers are a symptom of the change. 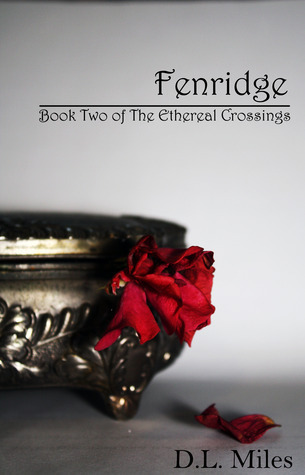 Review: After reading the first book in The Ethereal Crossings, Shadeland, I could not wait to read Fenridge! Liv is still an awesome main character, she's goes through a lot in this book, many changes. Much of what she thought she knew about her family and friends, turns about to be wrong, and the reader feels a lot of sympathy for her. The relationship between her and Jared also takes a step up, which will please readers who have been rooting for this romance. We are introduced to some new Eidolons as well. And more of Liv's family, we also learn a few interesting things about her past. The paranormal/fantasy elements of this series jump right off the page. The author presents an exciting world of supernatural creatures that blends with our own. There are tons of surprises and unexpected twists. D. L. Miles is a great writer who keeps the reader turning pages! I am anxiously awaiting book #3! local drug store with frieds. 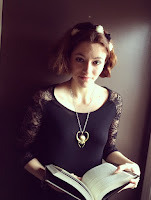 She is a young adult author, always in fantasy and the like. Currently she has two series on the go, and about two more in the works. Guess what hit your digital book store today? Blurb: Sora is having visions. Strange, terrifying visions brought on by her Cat's Eye necklace, an ancient and magical device. Spurred to action, she leaves her mother's cabin to find Crash, the mysterious assasin who once changed her life. She is certain that together, they can discover what the necklace is trying to tell her. Crash is still on the run from the dark sorcerer, Volcrian, but now a plague is spreading across the land. Volcrian's quest for vengeance has awakened something far more evil than himslef; a force that could destroy the entire kingdom. Together, he and Sora must harness the power of the Cat's Eye and kill the sorcerer before it's to late. 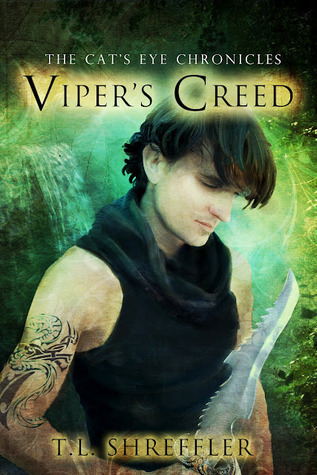 Review: I was anxiously awaiting Viper's Creed since finishing the first book, Sora's Quest, and it did not disappoint! 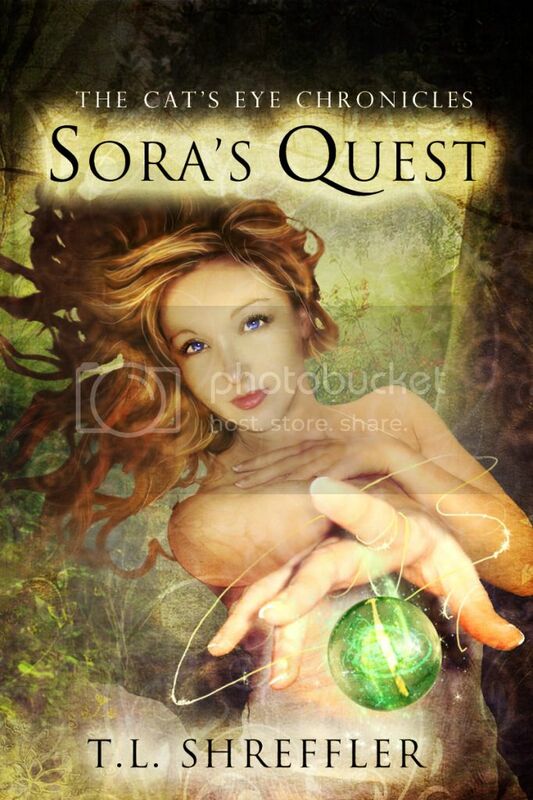 This book takes place one year after Sora's Quest ended, in that time Sora has grown up quite a bit since the first book, her fighting skills have improved as well. She finds Crash, and they begin a journey, with friends both old and new. Crash is just as mysterious and interesting as ever, though parts of his past are beginning to reveal themselves. There are several subtle changes in his and Sora's relationship, they become much closer and Crash will still have fans swooning over his dark and dangerous persona. Sora, though older, is still a young woman with a lot of responsibility. She rises to the challenge but comes across as very real in the doubts and worries that she has. One more thing that I love about this series, is that each book doesn't really end (in an awesome way), that is to say, it comes across as one large story. As opposed to each book ending completely, then the next book having the same characters but some new problem. It reads like one large book seperated into several smaller books, sort of like the Lord of the Rings Trilogy. I really love the way T. L. Shreffler she has made each book flow seamlessly to the next. Viper's Creed was amazing and this series is definitely one you don't want to miss! T. L. Shreffler lives in Los Angeles, CA. She loves diversity, fantasy, romance, iced tea, long walks, philosophy, and thrift store shopping. 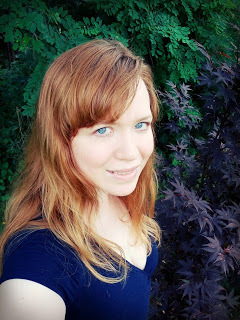 She recently graduated with a BA in Badass (Creative Writing) and her poetry has been published consecutively in Eclipse: A Literary Journal and The Northridge Review. She works as the assistant editor for the funky and fantastic Tinsel Tokyo Magazine! In celebration of the release of Defiance, Book One of the Priestess Trilogy, it will be FREE on Amazon Kindle November 5th thru the 7th! Defiance is an Irish fantasy adult romance with love, war, and DEFIANCE! 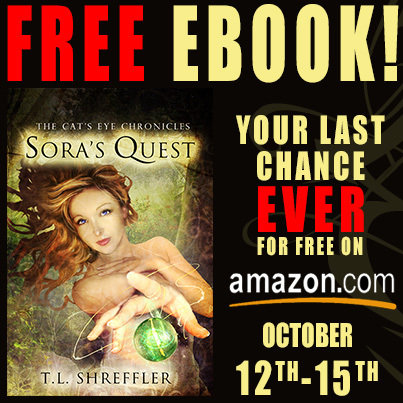 Be sure to grab your free copy while it lasts! Also, you can enter to win one of two signed copies of Falls the Shadow, Book One of the Chronicles of Midgard, an epic fantasy adventure with magical items, airships, pirates, mythical creatures and races, an empire seeking to free the dark god Loki from his prison, and the unusual group of friends trying to stop them! Falls the Shadow is the first installment of Melissa Sasina's new five book series! Synopsis: Born with the ability to communicate with the dead, few things take Mana by surprise. But when a canis lopes into her life, announcing himself as the long-dead father of a childhood friend, she's shocked. Now Mana must face Vaughn, the male who inspired one too many girlish fantasies. When they are both captured, they learn of an even greater threat. The plague devastating the southlands has come to his clan home. And his best-and only- chance to keep his people alive is the female who walks among the dead. 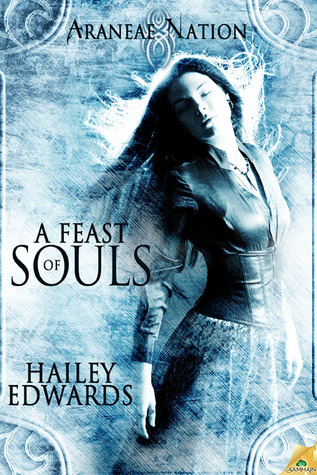 Review: Mana and Vaughn were two of my favorite characters in A Hint of Frost so I was really excited that they have their own story in A Feast of Souls! A Feast of Souls continues the plot that was begun in A Hint of Frost, the plague is still spreading and there is still debate over what to do with Pascal. Rhys and Lourdes also make an appearance, however brief it is. Pascal also plays a significant role in the beginning and I suspect we'll see more of her as the series continues. A Feast of Souls has all of the incredible fantasy elements that were introduced in A Hint of Frost. This book delves more into the Mimetidae Clan, who were introduced before but this time we see more of the inner workings of this clan that all the others seem to fear so much. I cannot wait to see what happens in A Cast of Shadows, Areneae Naton #2.5! or squinting at her moniter as she write her next happily-ever-after. Blurb: It's been one year since the creatures of Shadeland have exposed themselves to the world, but 17-year-old Liv doesn't really care; she knew of them long before anyone elsedid because her best friend Luke is one. But when woman begin dying in her hometown, Luke gets blamed for the killings because he isn't human and it sets Liv on a mission to find out who the real killer is, or what it is. Review: I totally loved this book! In Liv's world Eidolons (supernatural creatures) revealed themselves a year ago, resulting in a revolution that still causes pain today. The concept of supernatural creatures having willingly and openly revealed themselves was quite different from most fantasy/paranormal novels, and the fact that the reveal resulted in a revolution was especially interesting. After reading Shadeland, I am fairly certain that Liv is one of my favorite main characters of all time. D. L. nicely avoided the stereotypes that many YA main characters are made of. Liv comes across as a very real, relatable seventeen-year-old girl. I also enjoyed that her best friend Luke was an Eidolon, because of this the two have a very special relationship and compliment each other very well. The rest of the characters were quite fascinating as well. The bounty hunter, Jared was very awesome and I'm seriously hoping that he is in book two. We meet many other Eidolons as well, both good and bad. D. L. Miles breaks away from the common and presents unique creatures that aren't very well known in the paranormal genre right now. 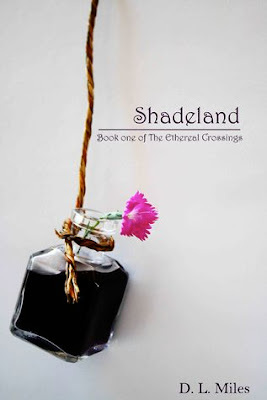 Shadeland is available on smashwords for free! author, always in fantasy and the like. She currently has two series in progress and two more in the works. Viper's Creed Blog Tour, Hosted by Tam's 2 Cents! Hey everyone! Tam's 2 Cents book blog has put together an awesome blog tour for Viper's Creed. If you're looking for more reviews, giveaways, character interviews and spotlights, here you go! Click to download your free copy! 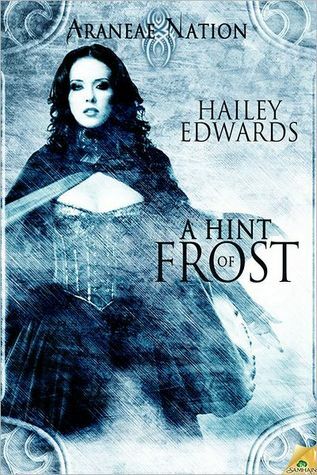 Review: A Hint of Frost was amazing! The story revolves around a young woman named Lourdes, who is forced to become the leader of her people, the Areneidae, when her parents are murdered. When the traitor is identified Lourdes must follow her new mate, Rhys, to avenge her parents. Lourdes was a lovely main character to follow. It was incredible to see the sacrifices she made for her people. She was very brave and yet you could understand how overwhelmed she was. I really enjoyed the relationship between Lourdes and Rhys. Th fall in love slower than most novels but it was better because you could tell how they made their unexpected situation work. The fantasy was quite unlike most books. Mainly the Areneidae Clan, who are able to spin silken thread from their fingertips. The world that Hailey Edwards has created is unique and intriguing! Overall, I loved A Hint of Frost and will definitely be reading it again! or squinting at her monitor as she writes her next happily-ever-after. 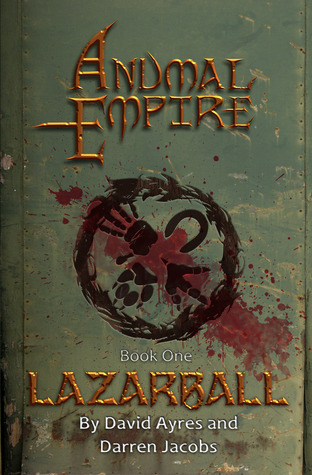 Review: Anumal Empire: Lazarball is unlike any other book I have ever read. The book takes place in a futuristic Earth, only the humans are extinct and Anumals are the reigning species. The story follows Clinton Narfell, a lion, as he fights for survival in this harsh world. I really enjoyed reading this book. The fantasy world that the authors have created is very vivid and distinct. There were a lot of mysteries, the biggest, probably being Dallas' hatred of Clinton. It is never really explained until the end of the book. While that was a tad bothersome during the beginning of the book, the way in which it is revealed is great. And overall this is the first book in the series, so it really seemed to be setting up the larger plot. Clinton was a interesting main character, no matter how many times he was pushed down, he stood back up. His devotion to his little brother is also really sweet. Anumal Empire: Lazarball definitely stands out from the crowd! After finishing his A-levels, he studied Performing Arts in London on scholarship. Since then Darren has been lucky enough to travel the world, meet lots of interesting people, and do the kind of acting jobs he always wished he could as a kid. Recently, Darren won a scholarship to study Film Acting in New York City. Afterwards he decided to get his US work papers, and now lives in Los Angeles. David is one of the authors of Lazarball, which is book one of the Anumal Empire series. Further books in the series are currently in production. Having spent some of his youth on stage and on the TV, he also writes television and film scripts. And is due to be awarded his BA Honours in English Language and Literature very soon. Maeja and her unlikely band of rebels and sky pirates have finally arrived at Brightstone. They need to get to the next treasure of the Gods, Thor's hammer, before the Empire does. If they can't get the hammer first, then the Empire is one step closer to awakening the dark god, Loki. Seeking to get their hands on Thor's hammer, brothers Connor and Linkyn agree to enter the Honor Battles and publicly reveal themselves, as well as Maeja, to the Empire which hunts them. 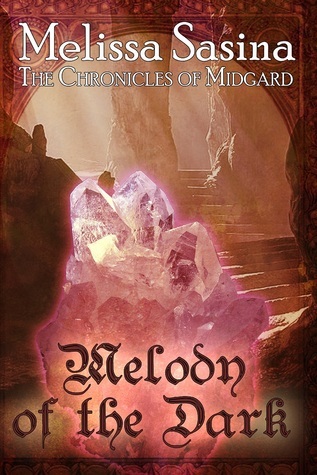 Review: Melody of the Dark picks up right where Falls the Shadow left off, Maeja, Ril, Conner, Linkyn and Mjrn are on a mission to save Midgard from a second Ragnarok. The epic fantasy continues with all the detail, adventure and mythology that the series began with. 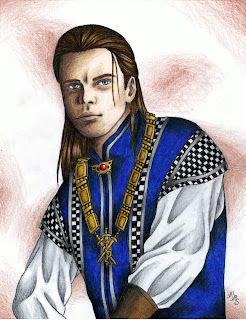 In this installment we are lead to more places in Midgard, including Dverdar cities and the Dokkalfar kingdom of Azrith. Many secrets of the empire are revealed, including several things about Severus. Readers will also be captivated by the Valkyrie, an especially intriguing part of the book. In this second installment the group has gotten passed introductions and we see them begin to blend together, work together, and occasionally . We learn a lot more about Boss, which was exciting. 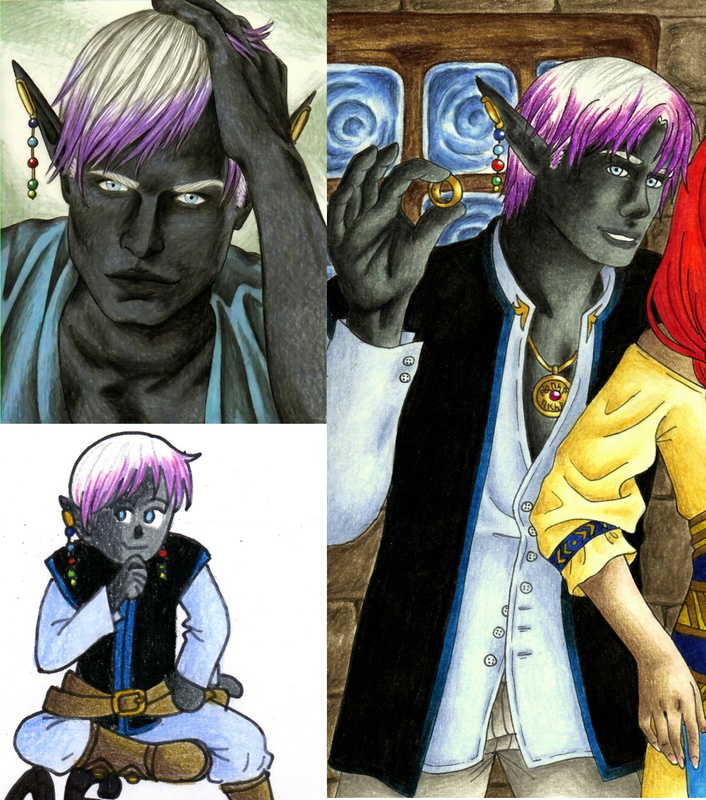 Also, we learn about Ril's past, the pirate is more than what he seems. The pacing was very good and I found this installment to have even more action and adventure than Falls the Shadow. The Chronicles of Midgard is a series you can't put down! About the Author: Born in 1982 in Cleveland, Ohio, Melissa has always been an avid lover of fantasy. The first book She began to write seriously for publication was The Priestess. It is currently undergoing reediting and will be re-released as both the individual books and as a one book collection, The Priestess: A Complete Collection. 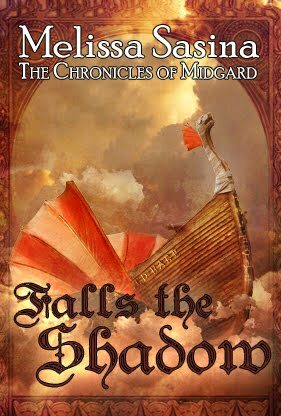 Her current book series is The Chronicles of Midgard, which will be a five book collection once completed.